Retail Price: $25.99 Log in for LOWEST PRICE! This is a bittersweet story that took me back to the "old days". 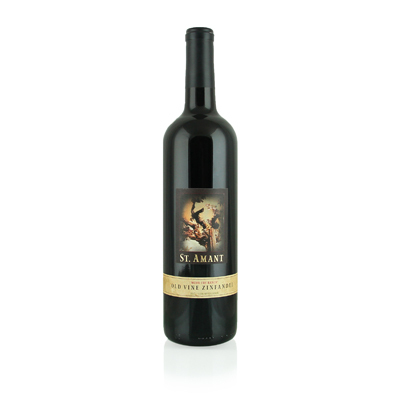 Tim and Barbara Spencer founded St. Amant in 1972, with the goal of creating California's first really good Port wine in the style of the great Ports of Portugal. When they released their first wine in 1979, Tim came down to meet with Paul Kalemkiarian, Sr., to show him his new wine. Paul was a little apprehensive because Tim had used Zinfandel as his main grape, not the traditional Port varietals. Paul Sr.'s reaction: "Wow!" And a friendship was begun, until Tim's untimely passing in 2006. Tim later planted some Portuguese grape varieties, but his first love, besides Barbara, was Zinfandel. He was a pioneer because he planted in Lodi. Lodi? Yes, the region that is now the go-to place for not only Zinfandel, but just about everything else, had to start somewhere. Back then, Lodi was still suffering an identity crisis from a song that had nothing good to say about the place. I doubt the songwriter ever visited Lodi - he obviously didn't taste their wines. Though few people really noticed, the Zinfandels that had their heyday in the `70s and `80s were from a lot of different areas. But Lodi had the oldest plantings of Zinfandel in the state. So, as it worked out, anybody who wanted to make great Zinfandel had to go there. This selection has all the strawberry, chocolate and earthy excitement that we expect from an area that can only be called the birthplace of Zinfandel.